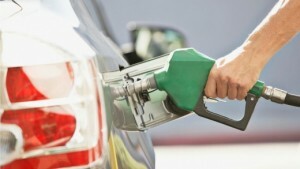 WILLEMSTAD - As of April 4, the gasoline price at the gas station will be two cents cheaper: 1.65 guilders per liter. It is now 1.67 guilders. Diesel, on the other hand, will be a fraction more expensive. It is now 1.12 guilders per liter and will be 1.13 guilders. In fact, it is an increase of three-tenths cents. The propane gas prices remain the same: 40 guilders for a large cylinder 8 for a small one. The rates of water and electricity will all change on Saturday. Again, no major changes. Electricity costs in the domestic rate per kilowatt hour Saturday, rounded up, still 50 cents. It’s just after the period there is an increase of about seven-tenths cents compared to now. Water costs per cubic meter soon about 5½ cents more in the basic rate. Until this Saturday it is 6.97 guilders, then 7.02 guilders per cubic meter.